chaotic order: A book lover's delight.. In the annals of American History, none holds a more affectionate and respectable position in public mind than the scholarly figure of Benjamin Franklin. In fact, one would run of words and epithets to describe his multi-dimensional personality. A statesman, scientist, philosopher, philanthropist, Ambassador and more importantly the founding father of thirteen colonies that originally constituted the United States of America. In fact, it seems unbelievable, at this distance to contemplate that a single individual could have affected the destiny of a nation so profoundly in its formative years and give it the necessary moral and intellectual momentum to propel the country towards its growth, stability and prosperity – traits that have sustained this country for last two hundred odd years. "The author of a Gazette (modern "magazine") ought to be qualified with an extensive acquaintance with languages, a great easiness and command of writing and relating things cleanly and intelligibly, and in few words; he should be able to speak of War both land and sea; be well acquainted with geography, with the history of the time, with the several interests of the Prices and states, the secret of courts, and the manners and customs of all nations. Men thus accomplished are very rare; and it would be well if the writer of these papers would make up among his friends what is wanting in himself..."
This charter should be emblazoned in golden letters across all journalistic media houses in bold letters. There cannot be a more sensible or truer statement of work in the world of media. Benjamin incorporated all kinds of events in his gazette – literature, poetry, gossip, science. In fact, it carried an hour to hour account of the assassination of Abraham Lincoln to eventual demise. The first known political cartoon also featured in one of its editions (incidentally drawn by Benjamin Franklin himself). The journal, however, had its last hurrah in 1800, ten years after Franklin's death. After a brief hiatus of twenty odd years, the journal was revived under a new name called “The Saturday evening post” in 1821. And since then, it has been in circulation till the present date. 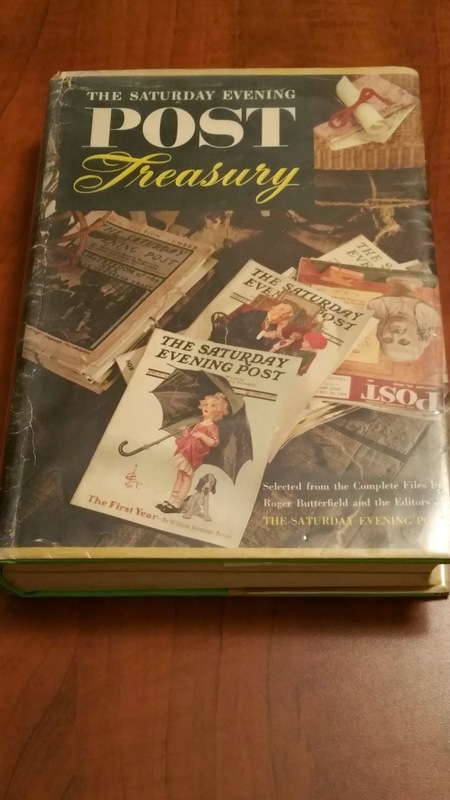 The Saturday post was a popular journal with its vivid front pages, essays shorts stories, war time reporting and cartoons till the 1950, when television took away a lot of readership. Circulation dwindled, and the post turned from a Weekly, to biweekly and then to a Bimonthly publication. Even today, if you look closely in News magazine stores, you will find a copy of the Saturday evening in a corner - a grim and nostalgic reminder of three centuries of tradition and intellectual outpouring. Nothing gives me more pleasure than dipping into the intellectual heritage of mankind. After all, as a species that is the only unique attribute that nature has accorded us - the transmission of knowledge beyond the realm of bodily instinct. The written word in my opinion, is perhaps the most notable, singular and unprecedented achievement of Mankind; allowing him to transform himself from an organism that merely lives by biological dictates to a point where he questions his role in the Cosmos; and the ability to transmit that curiosity, thirst and collective knowledge to his progeny. Such treasures, like the book that I got today are ones that I cherish the most. It cannot weighed in monetary terms for it surpasses such frivolous evaluations anyway. Barbara W Tuchman - A Historian par excellence..